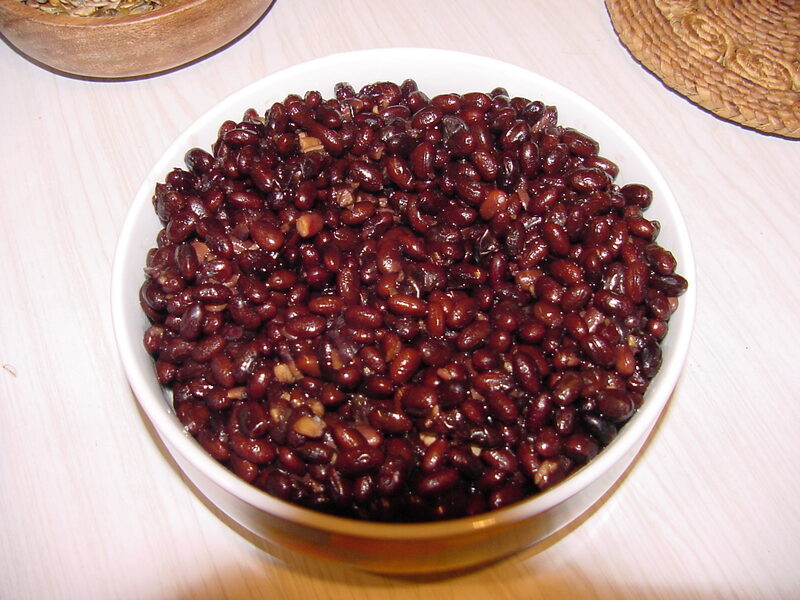 Place kombu in pressure cooker, add drained beans and add enough spring water to cover the beans. Bring to pressure, lower flame and cook for 1 hour. Release pressure. Drain and reserve water (for soups and stews) return to heat. Add barley malt and a little soy sauce, simmer (with cover off) for 2 minutes and serve.